Traditional bill of lading is a document of title so you can transfer the ownership of the goods to another party by means of endorsement or delivery. For this reason buyers have to present at least one original bill of lading to the carrier at the port of discharge. Non negotiable bill of lading is not a document of title. As a result buyers do not have to present at least one original bill of lading to the carriers at the port of discharge. Also you cannot transfer the ownership of the goods to another party by means of endorsement or delivery under non negotiable bill of lading. That is why non negotiable bill of lading is called non negotiable sea waybill. 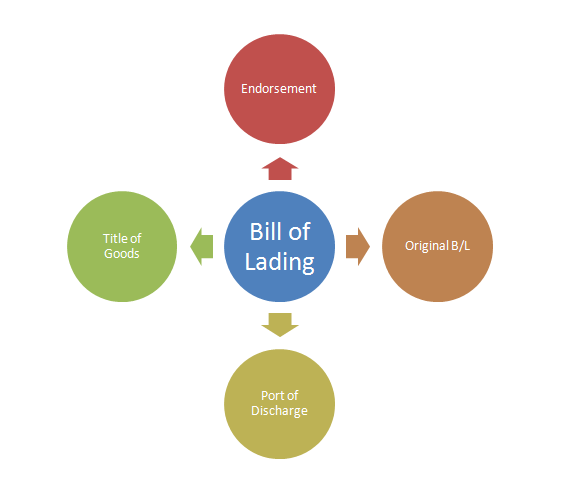 It is not a bill of lading in a traditional sense. Consignee: Bill of lading can be issued in a negotiable form. Non negotiable sea waybill cannot be issued in a negotiable form. You should to indicate your buyers name on the non negotiable sea waybill. Endorsement: Only bill of lading can be endorsed. Non negotiable sea waybill cannot be endorsed. Delivery of Goods: Under traditional bill of lading buyer have to present at least one original B/L to the carrier’s agent at the port of discharge. Otherwise they cannot get the goods unless letter of indemnity is issued. Under non negotiable sea waybill buyers can claim the goods by confirming their identity.